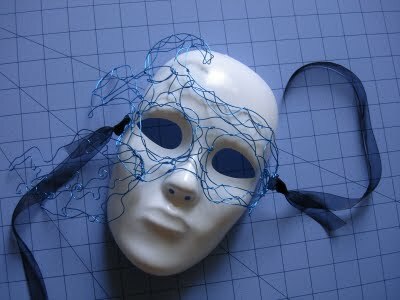 Using this mask as a guiding point I just started wrapping a bunch of wire into the shape of a mask. It's a good first attempt. This is giving me some good ideas I may need to try! Ava, do share what's going through your head.